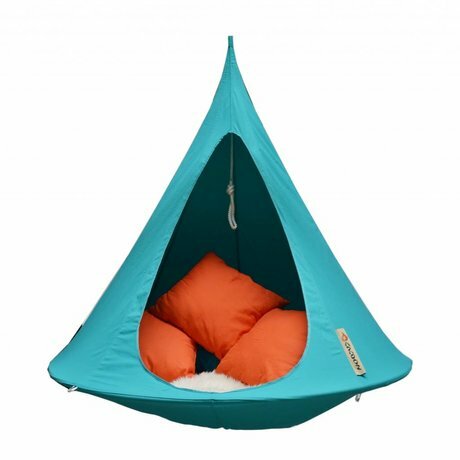 The couple Nick and Sarah came during a vacation in Mexico on the great idea for the Cacoon hanging chairs . During a trek through the jungle they came into contact with hanging nests of birds. 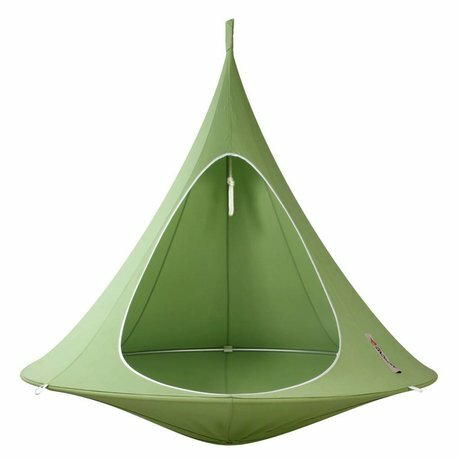 They were so intrigued by the unique design that they could not let go it. 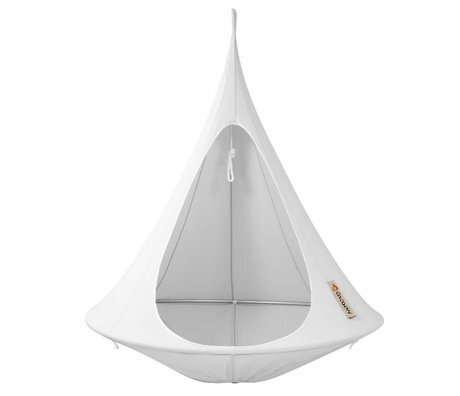 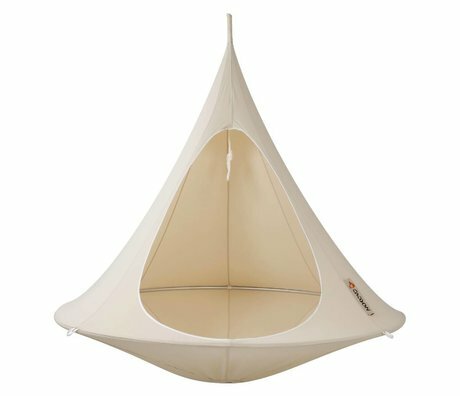 To itself to mimic this peaceful feeling they made the Cacoon hammock chair. 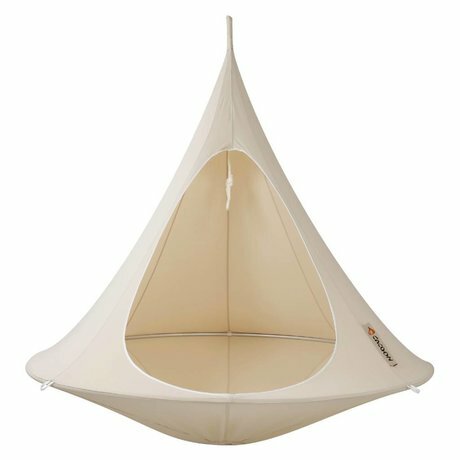 Hanging lounge area to hang inside and outside. 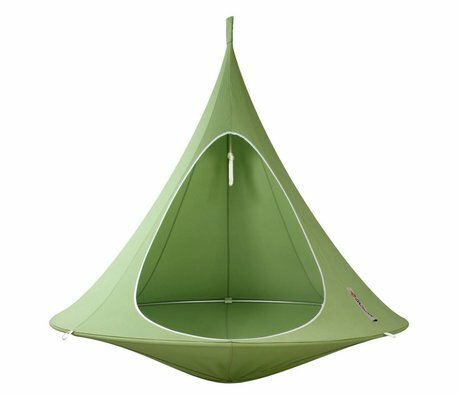 Lovely in the forest or along the coast. 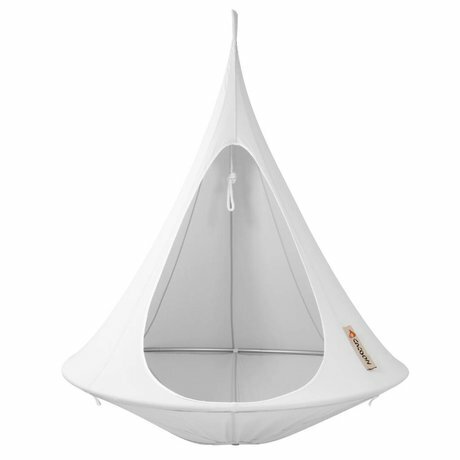 Choose the best place where you want good 'cacoonen "in this hanging chair. 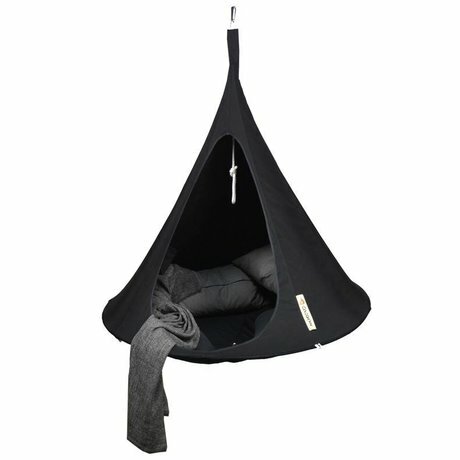 Pull got all that hanging? 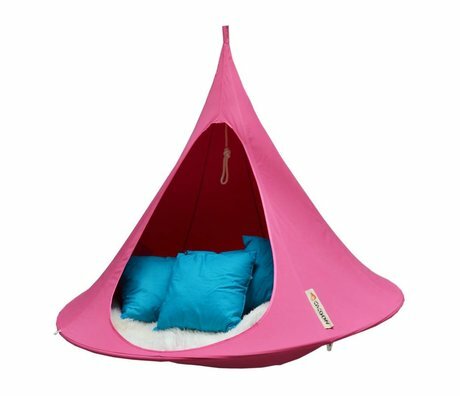 Also take a look in our shop with food and drinks . 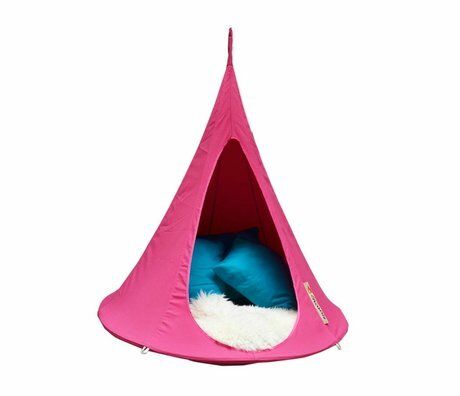 Tip: creep 's nice evening under a living blanket and can linger for hours tasty. 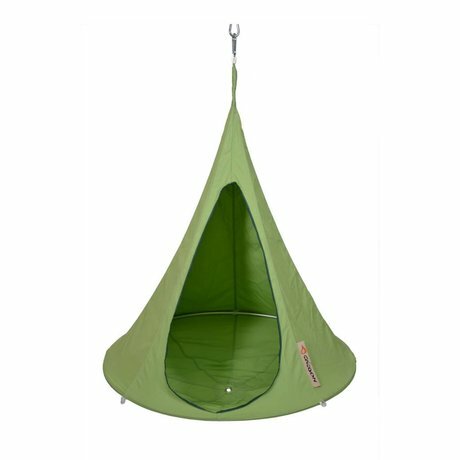 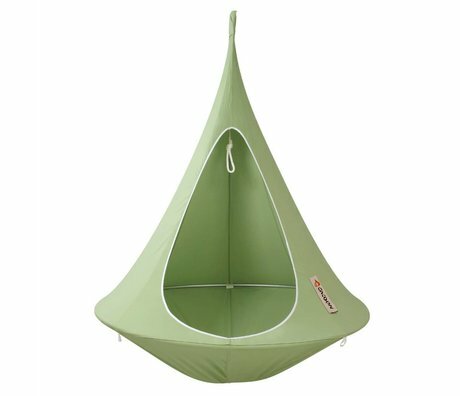 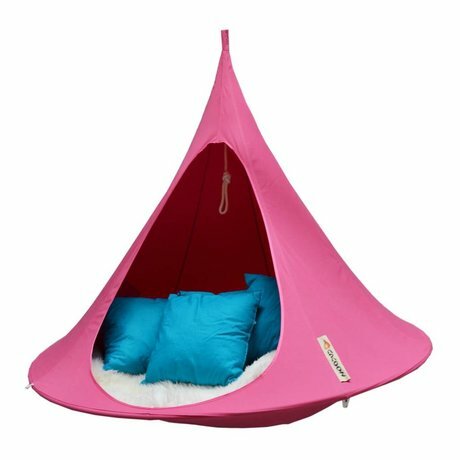 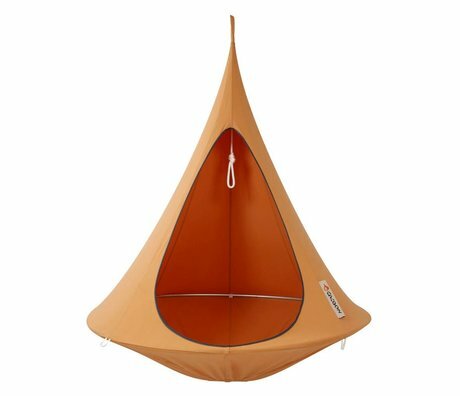 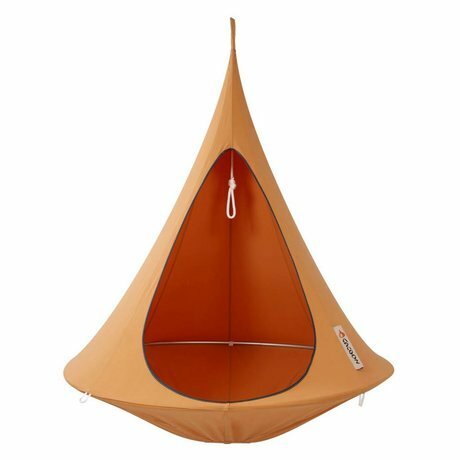 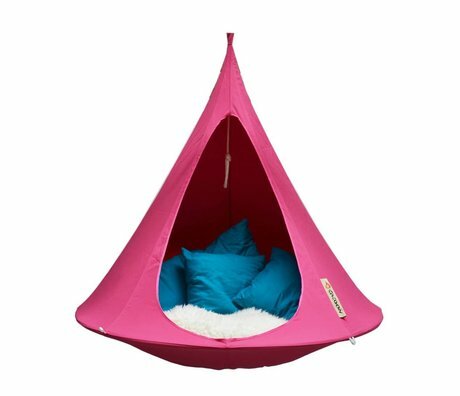 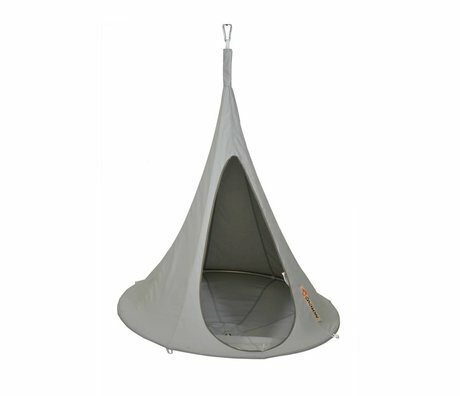 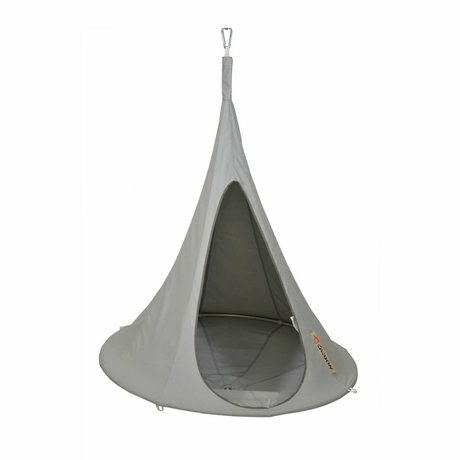 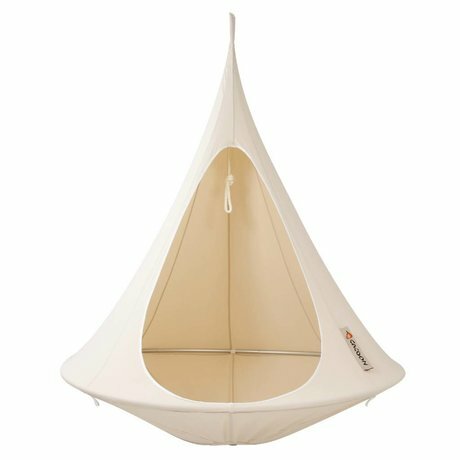 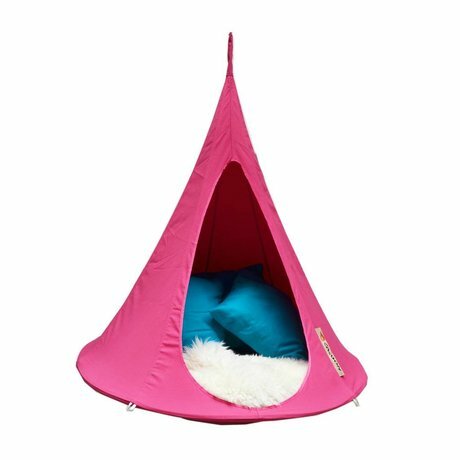 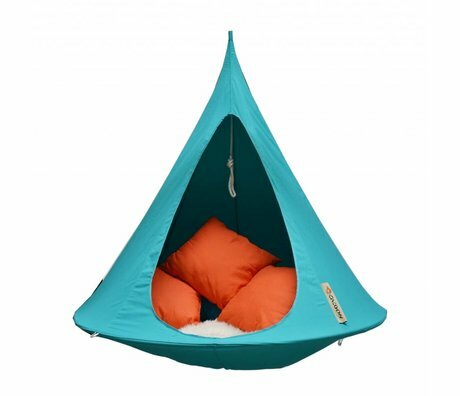 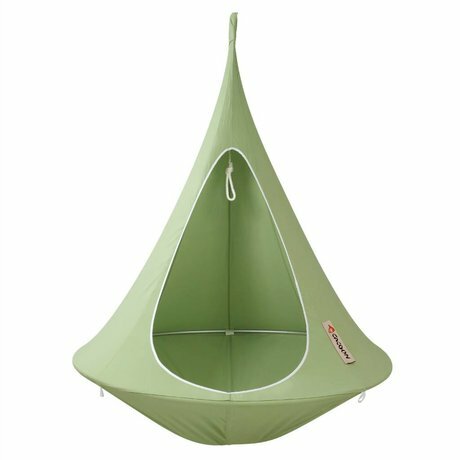 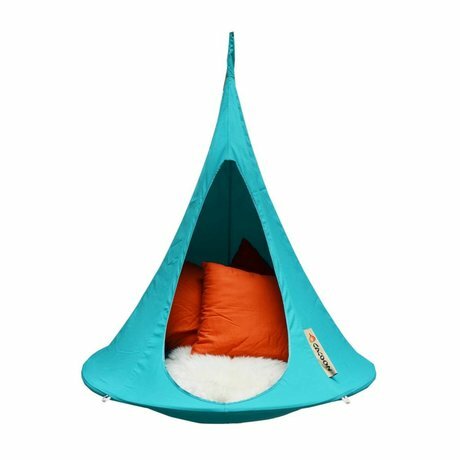 Do you want to relax in such a Cacoon hammock chair? 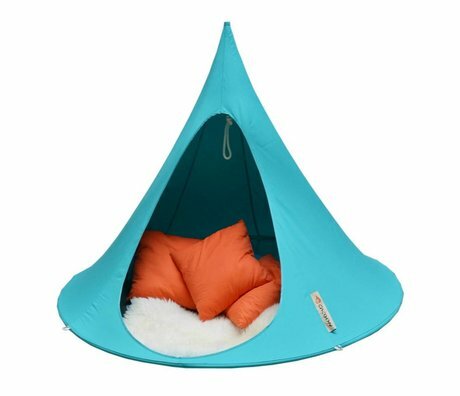 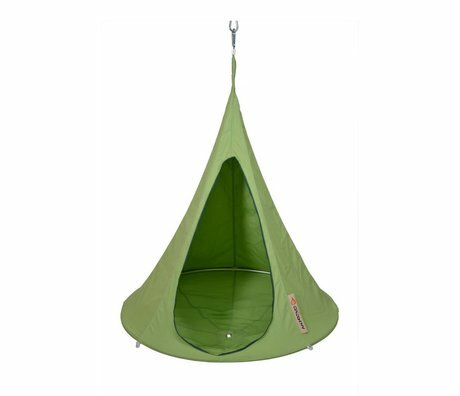 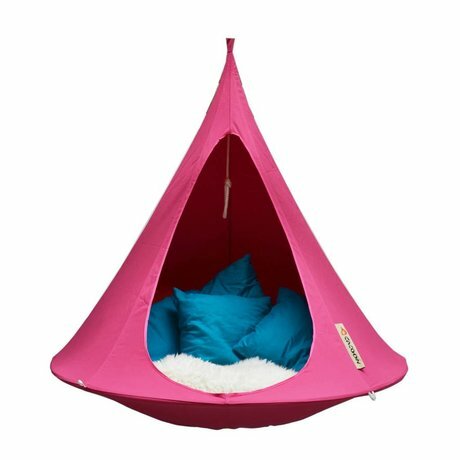 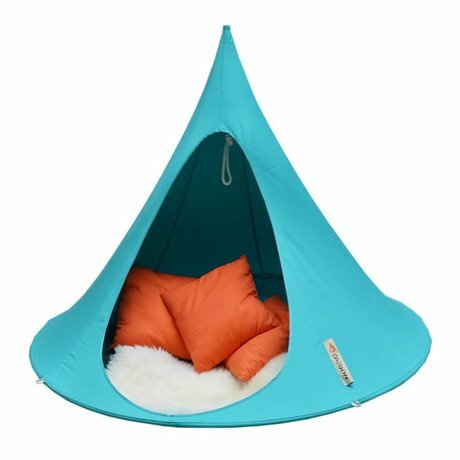 The hammock chair is to get a first-person version (150x150cm), 2-person version (180x150cm) and a smaller version for kids (125x120cm). 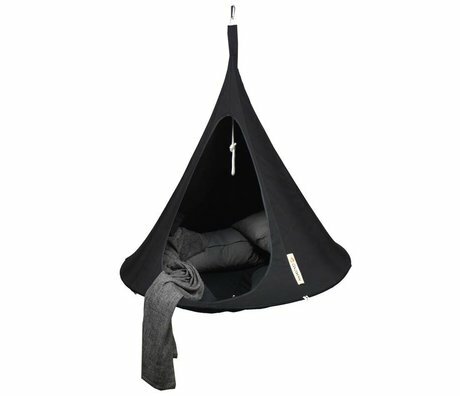 View all hanging chairs on wonen met LEF in Cacoon online shop , choose the color that suits you and enjoy!